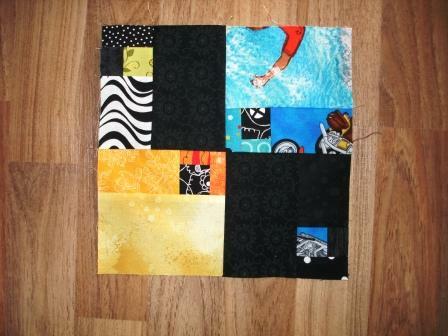 Love the way you can do so many things with this block. Snowball blocks... and flying geese. The other blocks went home with people so they remember how to do them, so will have to wait for another time for a photo shoot. Amazing what can be achieved with a few small techniques. 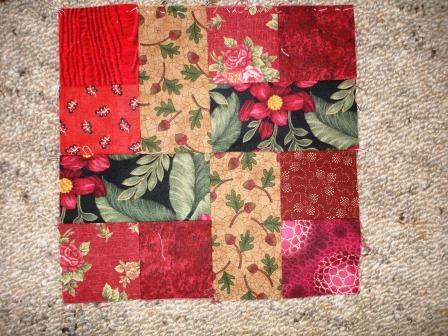 My teachers now feel ready to take on the quilting world - well, maybe not world, but have a good old go at things anyway. 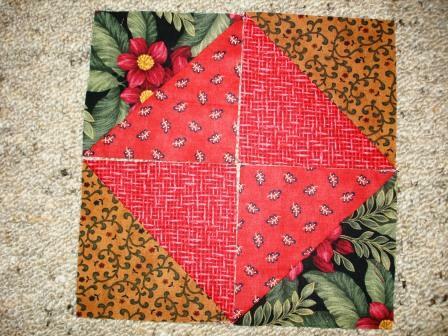 This was the block we started practicing with when we first started. 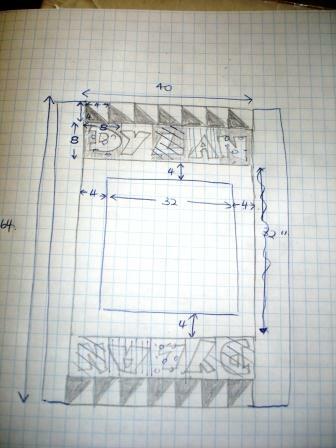 ﻿﻿﻿﻿﻿We spent quite a bit of time talking design - and then thinking up all sorts of ways to add our borders. 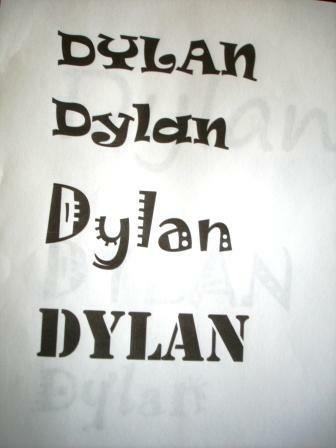 you think anyone will realise? ﻿﻿﻿﻿ The teachers were much more ambitious than I, and have planned all sorts of pieced blocks and applique letters and critters. I am pleased to have not only passed on my knowledge, but to have shared my passion and instilled some degree of passion in the other participants. 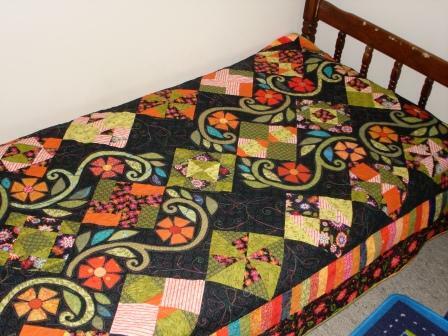 I just have to show a photo of my funky orange quilt actually on a bed because I have sold it! My first sale... so my first baby going off to another home. Dinner time has rolled around again, so I suppose I had better start something. Incase you're wondering, I have kept true to my domestic goddess duties - and have kept the bench clear all week. Baby steps I know. That quilt you sold has to be one of my favourites. Go you! I'm struggling with the square dancing theme, got some ideas but having to work through lots of issues to make it work. But I can see yours is working. Sounds like a fun class you had.Nice that you are sharing your passion. Your quilt you sold is a stunner! 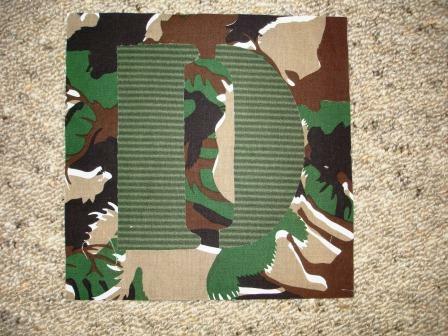 Looks like some lovely quilting. Congrats on the sale of the quilt, tho I know it is bittersweet. It was one of my favorites as well. Sad to let the babies go, eh?